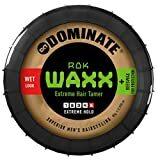 Tame the wildest hair with ROK Waxx, DOMINATE’s hardest-holdÂ men’s hair styling wax with added New Zealand Bees Wax for hair protection and conditioning. Nothing holds harder than DOMINATE Rok Waxx. Give your style a raw edge with the DOMINATE range of men’s hair styling pastes and waxes. We use ingredients that have been helping man since the dawn of time, so when you want a natural advantage, don’t just do it, DOMINATE it. 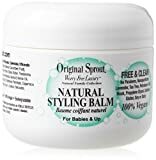 This product is a non-flaking formula. The Light Hold Styling Gel builds thickness and shine while providing light control. 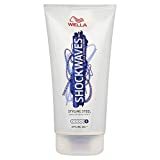 This product is an alcohol-free, flake-free formula and will not dry the scalp as it contains thermal barriers which protect the hair from environmental stress and mechanical distresses. This gel works to condition scalp with ginseng and sage extract, as well as providing body and fullness to the hair. To use: Apply to towel-dried hair. Comb through and allow to dry naturally. A pea size is all it takes for styles that last all day! A natural styling product for your baby or child.